What Are The DIY Jobs That We Can’t (Or Won’t) Do? Owning a home means that you occasionally have to get stuck into a bit of home maintenance and depending on your level of confidence in your skills, you may think some jobs are best left to a professional. A recent survey has looked into which DIY tasks we most commonly avoid or are unable to tackle on our own. This survey was carried out by Emo Oil and they quizzed adults throughout the UK on just how handy they are around the house and found that just over half (52%) of the survey participants opt to call in someone who knows what they’re doing. The research discovered the top 10 DIY dilemmas that homeowners struggle to solve and found that the most common issue was fixing a leaking tap, which just over 2 thirds (67%) of respondents don’t know how to fix. Runner-up in the most avoided DIY jobs is changing a plug, something that 59% of Brits find to be too much of a challenge and in 3rd place is Hanging wallpaper, as 52% of us would avoid ruining a room by accidentally hanging a sheet at slightly the wrong angle. Electrics are clearly an area that most of us stay away from when possible as 47% of us can’t or won’t replace a light fitting and according to Emo Oil, even sealing windows and doors is a job for someone else, with 44% admitting that they can’t complete this task. So why aren’t we getting our hands dirty when it comes to maintaining or upgrading our home? Well, the survey also found that 77% of us simply do not feel confident enough to finish the job properly, if at all. At the same time, 36% of survey participants stated that they have a professional or someone more knowledgeable on the other end of the phone, and tend to fall back on them instead of doing it themselves. Group Marketing Manager at Emo Oil – Susanne Waddell – believes that we may be overestimating some of these tasks and there is plenty of information available these days that can help us along the way. 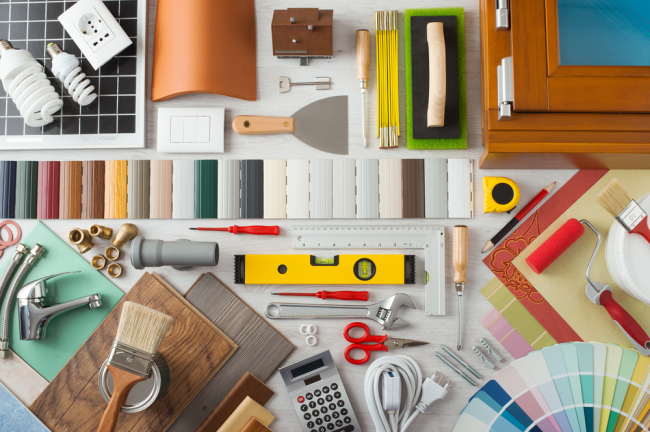 She said “It’s interesting to see how, despite having access to a wealth of information at our fingertips, a significant number of UK homeowners and tenants don’t feel confident in their abilities to carry out simple DIY tasks around the home. The full list of avoided DIY tasks can be seen below.